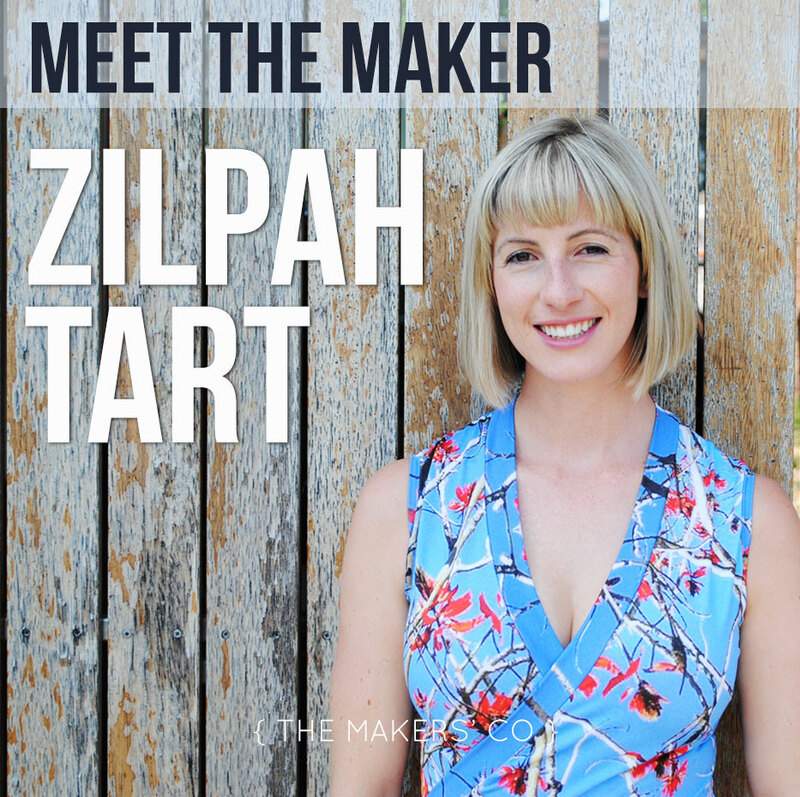 Today I’ve got my good friend Yumi from Zilpah Tart in the hot seat for Meet the Maker. I’ve followed Yumi’s journey from fashion graduate, to business side-hustle, to full-time fashion business over the last several years and I can’t wait to watch her create her fashion empire over the next several. Her determination and grit (and innovative designs!) will turn her into a household name, watch this space. 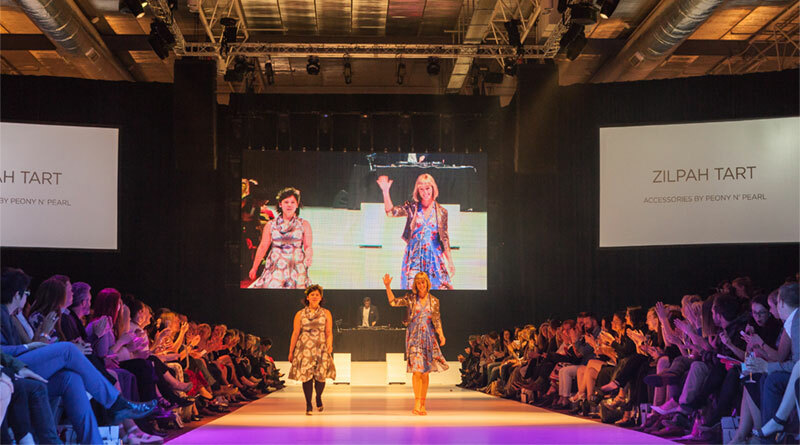 My name is Yumi Morrissey and I run a Canberra based fashion label called Zilpah tart. I am a mum to a 3 1/2 year old boy and work from my studio at home. I design my own fabric prints for my collections, using photographs taken around Canberra. My label is bright and bold, very feminine and unique. The dresses are designed to make my customers stand out in a crowd, and feel fabulous. I decided when I was about 7 that I wanted to be a fashion designer. I spent my time making outfits for my troll dolls, and I never once changed my mind about what I wanted to do. I feel very passionate about making sure you do in life what you want and love to do. My biggest fear would be working 9-5 in a boring office job for the rest of my life. I’m a person that likes to take control, and organise and lead, so being my own boss makes complete sense to me. I also love the challenge of trying to succeed in my dream, especially when faced with doubt and discouragement by people who should be doing the opposite. I used this doubt as motivation to someday be able to say ‘I told you so’, and I think I’m finally at that point. It also provides me with the flexibility of caring for my son at the same time without having to put him in daycare full time. I can choose my own hours, and fit other life events around it when I like. Firstly, not being in the public service any more. The public service was destroying my creative soul. Thinking about how I used to get up every morning and drive to the other end of Canberra in the traffic, being abused by clients all day long, and not getting home till 6, makes me feel so happy and relieved that I chose to go down this path, and made it work. Secondly, being able to put all of my time and energy into what I love to do – designing and creating. Thirdly, flexibility. I can set my hours to suit my lifestyle. Sure, sometimes I’m crazy busy and working till 1am, but it’s worth it. And the hard work pays off. I think there’s a few layers to this. 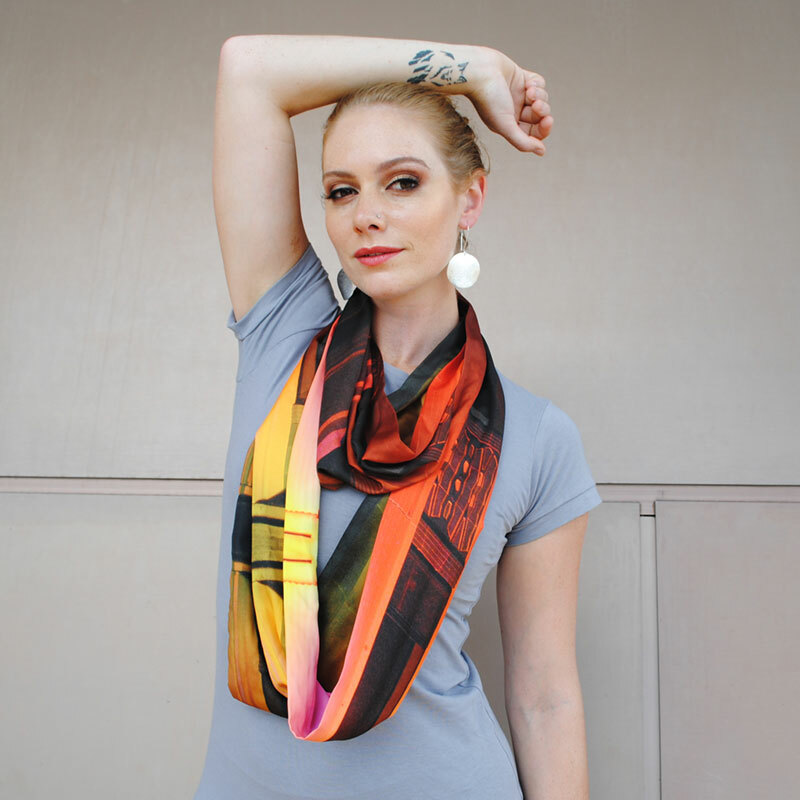 Firstly, there’s a personal connection to my clothing because of the fabric prints containing images from around Canberra. Canberran’s love Canberra, despite what many people think about it, and they’re proud to have Canberra images displayed on a beautiful dress. Secondly, its the feminine style, and shapes that suit and flatter almost all body shapes. And thirdly, but very importantly, practicality. The dresses are super comfortable – they are made in stretch jersey, no restricting. The fabric also means that they don’t need ironing, wash and dry very easily – no tricky care instructions and they can be scrunched up in a suitcase for traveling, coming out without a wrinkle. Perfect for busy modern women. This is something that took a while, but I think the most valuable information came from face to face conversations at the markets. Speaking with customers about what they liked and didn’t like, what they thought was important, convenient, etc. Talking to them about their lifestyles, their families, their jobs, their insecurities. Super valuable. For me it was something I always wanted to do but was too scared to leave the security and money of the public service. After my son was born, I went on maternity leave at half pay, then when that ran out, was on zero. So it was almost a gradual transition to get used to the money situation. This also forced me to take a real shot at the business, because if it didn’t work, and I couldn’t make money, I would have to go back to my public service job, which I was determined not to do. I think it’s important to set goals for yourself. This financial year I set a goal to try and break into the Melbourne market. I found 2 stockists, and am in the process of trying to get some more brand awareness to increase sales there. I also make sure I don’t aim for too many things at once. I’d like to try to crack Sydney as well, but i know I need to make Melbourne work first or I’ll be spreading myself too thin. I divide my year into 2 with two collections, and it’s refreshing to start a new collection with new prints, new inspiration and new designs. Gets the creative juices flowing again. That’s a tough one. I think for me it has been being able to connect with my customers on a personal level, through the clothing but also through meeting customers at markets etc. This includes sharing stories in solidarity with new mums, or busy, hardworking women. Understanding what they need specifically – eg. Noticing a customer, obviously pregnant, admiring a dress, and offering a cross front version so she has the choice to wear it while breastfeeding. Running a business with a baby was really tough. Tougher than I could have imagined. I remember feeling like this whole mothering thing was such an unfair gig – the pressures put on mothers seems enormous compared to fathers. But I think I put too much pressure on myself to get things done when it just wasn’t possible. If I had advice to my past self (my son is now 3 1/2) it would be to try and realise, that sometimes with a baby, you will need to stop working and be ok with it. Take the pressure off yourself to try and get a thousand things done whilst also keeping a human being alive and healthy. Also, communicate with your partner, if you have one, about the time that you need for your business. I felt like my husband should have automatically known, but as it turns out he’s not a mind reader, and he didn’t realise how much pressure I was putting myself under. Lastly, accept help when it’s offered. I had friends offering to babysit my son when I was super busy, but I struggled to accept it – thinking I was placing a burden on them. But people will not offer help unless they want to help, so take it if you need it. Stay organised. If that means using a planner, writing lists, setting certain tasks on certain days, then do it. If you let one thing slip it can turn disastrous very quickly. I use a whiteboard to write down everything that has to be done. I also love being able to rub things out when they’re done. Use people’s doubt of your ability to succeed as your motivation to prove them wrong. I really hope to be able to expand my brand further interstate, build a brand presence Australia wide, and increase my online sales in the process.